Dawnyele Savage holds a Bachelors’ degree from the University of West Florida graduating with a 4.0 GPA in her area of concentration and 3.8 GPA overall. She specializes in integrated marketing communications and data analysis. Mrs. Savage began her career in 2007 as a Real Estate Sales Associate with Chris Stapleton Realty of Navarre, FL. She then received a Marketing Communications Specialist position with ProHealth in Pensacola, FL planning and executing several major marketing campaigns–designing and publishing over 80 advertisements and promotional pieces–enhancing business development. She composed several newsletters, blogs, press releases, and email communications. 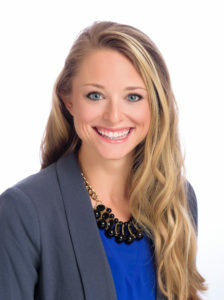 After relocating to the Tampa Bay area, Mrs. Savage received an Associate Marketing Specialist position at United Healthcare Student Resources, where she formulated various marketing plans and specific initiatives for professional association clients while budgeting advertising expenditures and measuring performance. She wrote over 50 ads, direct mail pieces and articles, maintained the company’s social media presence, and represented UHCSR at 6 major conferences across the U.S. Additionally, she supported the New Business Development team by responding to over 50 Request for Proposals. In 2012, Mrs. Savage decided to pursue a Student Ministry Administrative Assistant position with Calvary Church where she mentored students and assisted in the organization and facilitation of biweekly activities and major student events. Mrs. Savage holds a Florida Real Estate Sales Associate License. While at the University of West Florida, Mrs. Savage was inducted into the Phi Eta Sigma National Honor Roll Society, recognized on the President and Dean’s List 7 semesters, and was named to the Gulf South Conference Academic Honor Roll. She and her husband are the parents of one child.